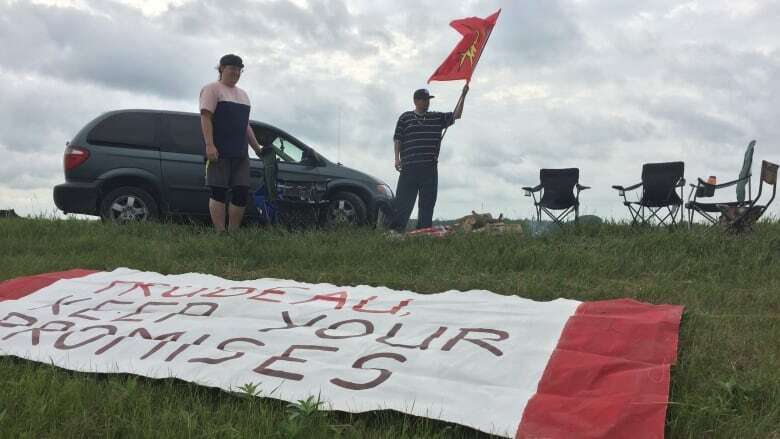 About a dozen people are at the Spirit of Buffalo camp near Gretna, Man., 100 kilometres south of Winnipeg, an organizer says. About a dozen people at Spirit of the Buffalo camp set up early Wednesday near Gretna, Man. "We're standing about 10, 15 feet away from them, so we're putting ourselves right on the line," McManus said. "We're not letting them cross into Canada." "A number of individuals are observing our Line 2 maintenance work site near the Canada-U.S. border. Safety of our workers and others present near the site is our Number 1 priority," says the email from an Enbridge spokesperson. 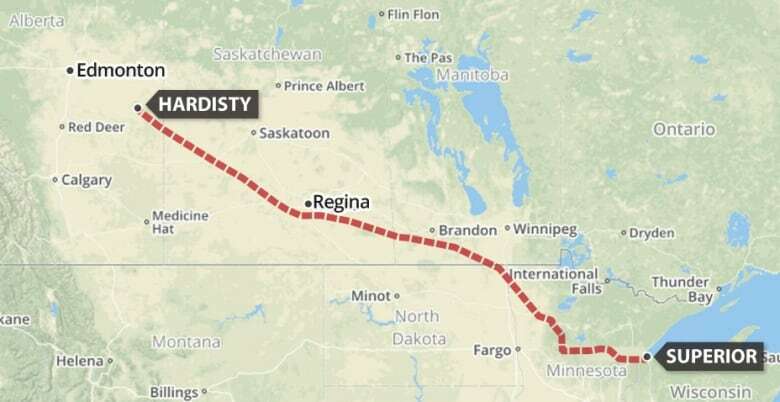 "Enbridge respects people's right to express their views safely and in accordance with the law." "I just grabbed a group of people really fast and just said, 'You know what? We can't wait no more,'" she said. The group, which is receiving support from the Manitoba Energy Justice Coalition, has lit a sacred fire and there's continuous prayer. "What we're doing right now is just holding space," McManus said. A farmer has told them they are near a firing range where people shoot toward the encampment, but they aren't moving, McManus said: "They're going to have to drag me off here and I don't know how they're going to be able to do that." "The earth that I walk on right here, this is my mother. I love her, I respect her and I'm going to protect her in any way that I have to," McManus said. 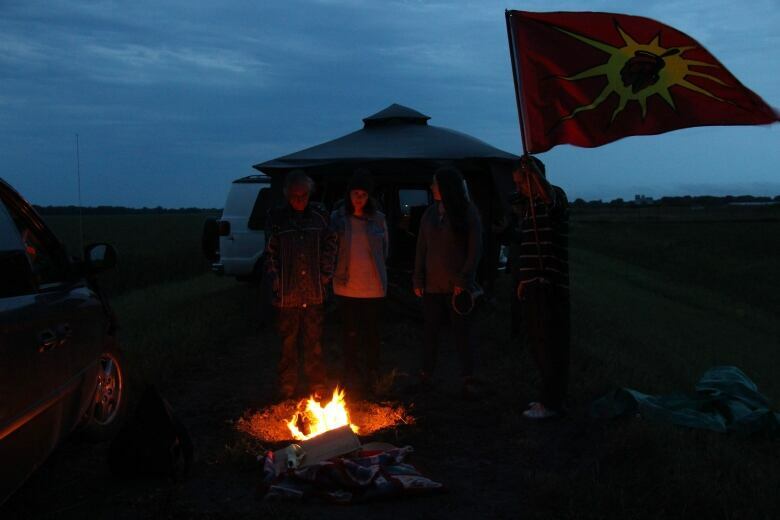 This photo of the Spirit of the Buffalo camp along the Enbridge Line 3 pipeline was sent with a news release from the Manitoba Energy Justice Coalition. (Submitted by Manitoba Energy Justice Coalition. )"Politicians are pushing it through for the sake of money," she said. "What are we going to do with all that money when we have no more clean water, when Mother Earth is so polluted from these spills and all these leaks in these pipelines?" "We just all, as Canadians, need to get in front of this line," she said.